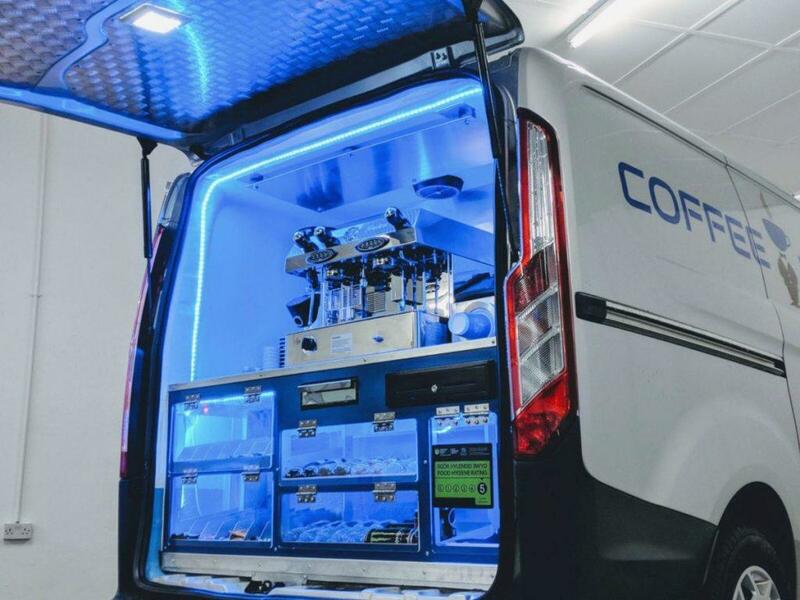 Vantastec is very proud to present our mobile espresso Coffee Blue franchise and its special coffee blends. 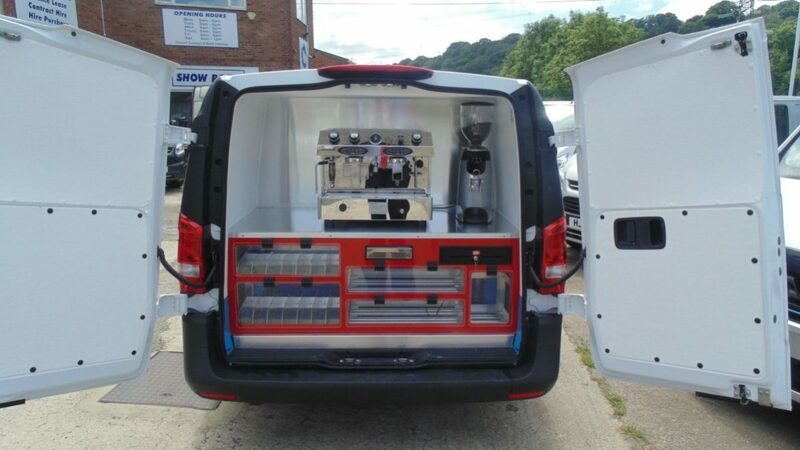 With many years of mobile catering experience between us, we’ve designed our coffee van to be the best around. Using your barista skills, you can serve your customers delicious espressos, Americano, cappuccino, latte, mocha, hot chocolate or tea with a 2 Group commercial coffee machine. Fear not if you have none yet, we’ll train you to be the best barista on the roads. Our coffee van also comes with a sturdy holder for your syrup bottles so you can offer that real coffee shop experience, wherever you serve your customers. 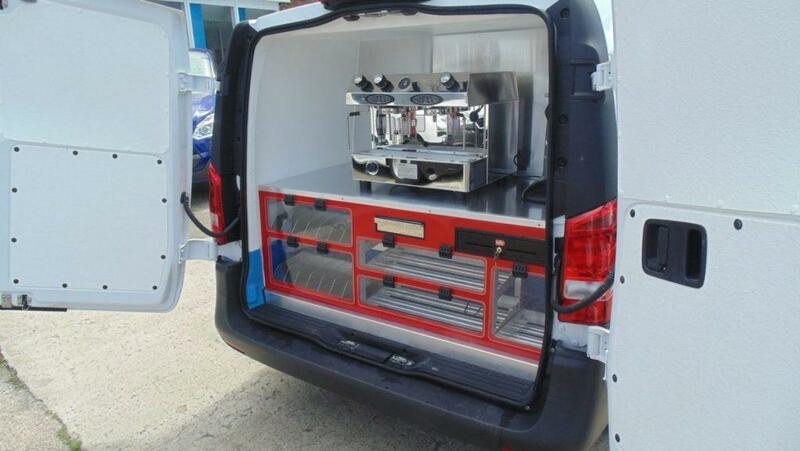 Keeping with the concept of ‘clean and simple’, Vantastec has developed its coffee van with customers in mind. 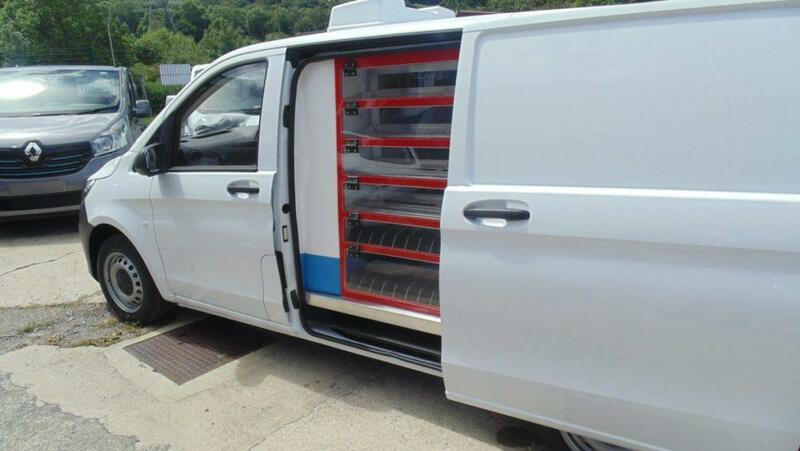 The mechanics and workings are out of sight, which provides you with exceptional usable storage space. 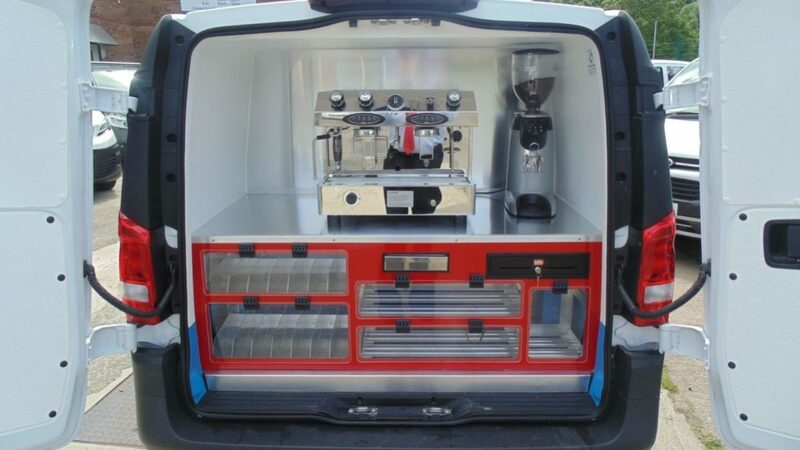 We’ve created a practical serving area at the rear of the van, placing the dual fuel espresso machine in the center. The on-demand grinder with its 1.7kg bean capacity has been fixed to the side and within easy reach. There is ample room for you to include an EPOS till or display bottles of syrup along with other products to sell. A unique feature of our coffee vans is no heavy gas bottles. 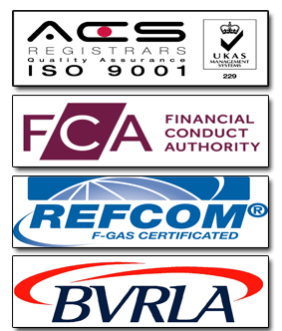 We’ve fitted a permanent 18L LPG tank under the chassis, providing you with approximately 7 days use. The temperature controlled storage area allows you to carry additional stock or include plated buffet lunches, completely separate from the standard rear display area. You also have the option to have a fully functioning EPOS till system that allows you to take card and phone payments while you are out on your rounds (4G signal dependent). Get in touch today to find out how you can join the Coffee Blue franchise. Be your own boss. 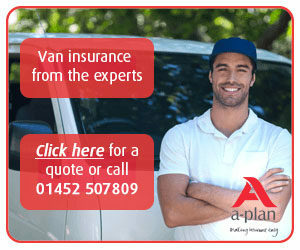 We estimate average earnings of £33,000 a year per van when you work 48 weeks – that’s not including any big events or festivals! Our coffee blend was hand-selected by us to ensure we got the best product possible. It’s sweet and strong and thoroughly delicious. 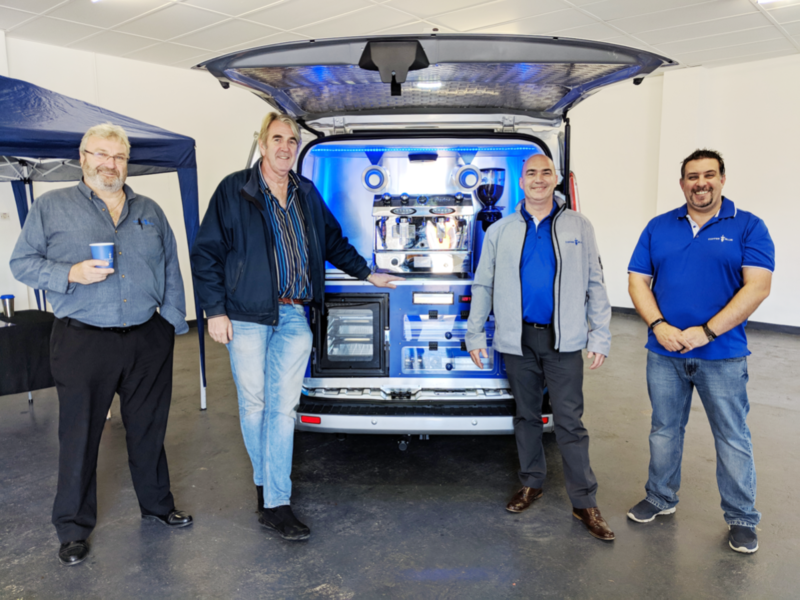 To give you the best head start, we’ll give you full training on how to use your van, how to make the best coffee and pointers on profitable areas to get you up and running.